You can find a wide range of used commercial vehicles at Shriram Automall India Limited (SAMIL), and can select the pre-owned commercial vehicle of your choice. Ranging from LCV’s to HCV’s, SAMIL’s collection of used trucks has made it a market leader. The company has transformed the way used commercial vehicles are sourced and displayed to the buyers. Buyers can easily choose different platform for bidding according to their convenience. SAMIL has helped thousands of people from across all regions of the country every year in acquisition and disposal of trucks, trailers and other transportation vehicles. SAMIL’s customers are very well versed with the fact that the company conducts large number of bidding events in a year along and process transparent deals. You can find hundreds of trucks and other commercial vehicles in stocked up at the Automalls to choose from. At every bidding event, prices of pre-owned commercial vehicles are priorly reserved by the customers who want to dispose their used truck through bidding. Then the highest bid is coordinated with the reserved price and accordingly vehicle is traded or put on hold. 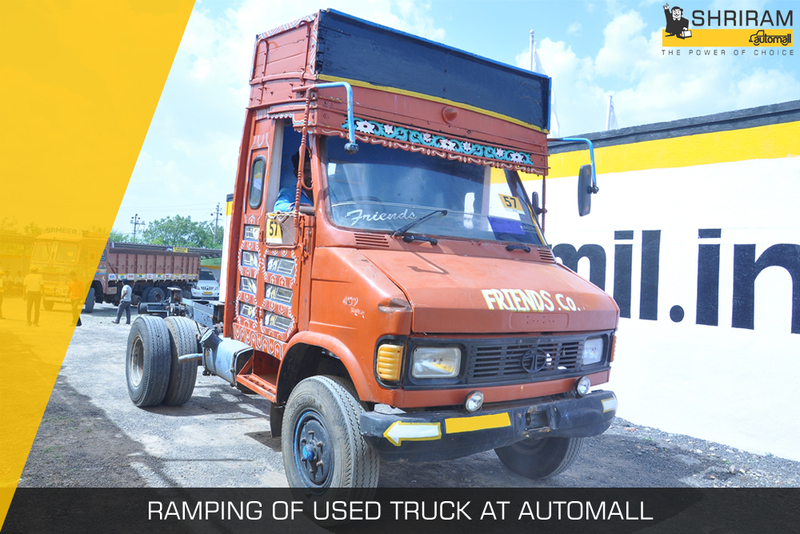 You can find used trucks and other vehicles from all the top manufacturers, at SAMIL. Company has a number of tie-ups and associations with leading banks, NBFCs, Manufacturers etc. to offer the best & exclusive inventory of used trucks and commercial vehicle for customer disposal. Trucks and trailers available at SAMIL are disposed of to dealers, brokers, individuals as well as to big companies. Anyone can purchase transport trucks through our bidding events, and anyone can dispose them off easily. Some of our customers are owner-operators that exchange just one or two trucks at a time; other customers own large fleets, and sometimes deal in dozens of trucks at a time. Purchasing a used commercial vehicle is easy with SAMIL. You can choose from our physical bidding or online bidding platforms at your ease. Parking Facilities, Valuation Services, and other financial services are what differentiate SAMIL from its competitors. Construction equipments act as backbone in case of huge construction projects. Proper use of construction equipments contributes to economy, quality, safety, speed and timely completion of a project. Almost 15-30% of total construction cost is accounted towards equipment and machinery. Construction equipments increase the rate of production and eliminate heavy manual work to ensure work is completed on time. Using Construction Equipments have now become the most important part of construction projects and thus it is essential to have knowledge about different construction equipments commonly used in the industry. Motor Graders, which are one of important equipments and used in maintenance and construction of roads are also referred as road grader, a blade, a maintainer or a grader. It is a construction machine with a long blade used to create a flat surface during the grading process. A variety of attachments turn the motor grader into a more versatile machine, enabling the machine to do things such as dig shallow holes. Typical models have three axles, with the engine and cab situated above the rear axles at one end of the vehicle and a third axle at the front end of the vehicle, with the blade in between. · The grader is used for road maintenance in flattening surfaces before application of asphalt. · In civil engineering, motor grader's purpose is to "finish grade" (to refine or set precisely). · These machines are used for fine grading, spreading and earth moving along with their use for clearing debris and brush as well as snow removal. · Used for grading and finishing the upper surface of earthen formations and embankments usually operated in forward directions. · Certain graders can operate multiple attachments, or be used for separate tasks like underground mining. Motor Graders are of great advantage, but buying a new Construction Equipment proves to be a very heavy task on pocket. Acquiring Pre-owned construction equipment is very affordable and saves a lot of money of the buyer. 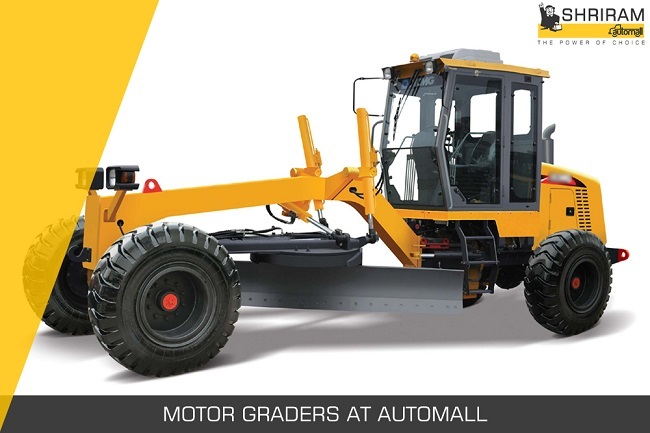 You can easily buy a used motor grader through Shriram Automall India Ltd. (SAMIL). SAMIL provides easy finance options along with other additional services to its customers. Acquiring and disposing off, vehicles have never been this easy as it is with SAMIL. You can connect with SAMIL’s online as well physical bidding options or through private treaty. These Tractor Safety Tips Will Help You Farm Safe! Tractor might look like easy and safe to handle when it comes to comparing it with other heavy equipments. This equipment seems straightforward but yes things do go wrong even with a tractor. Tractors are versatile equipment that have been and will be around in future. And like in case of other equipment, you need to be known that there are dangers involved. 1. Knowledge about your tractor is must before you start using it. Reading and understanding the Operator's Manual(s) before operating it will prove to be a very good guide for you. Also, keep your equipment in good condition. 2. Use ROPS and seat belt whenever and wherever applicable. If your tractor has a foldable ROPS (Rollover protection structure), fold it down only when absolutely necessary and fold it up and lock it again as soon as possible. Do not wear the seat belt when the ROPS is folded. Most tractor fatalities are caused by overturns. 3. If you are familiar with your terrain and work area, it will come in handy for you. You can walk the area first to identify any debris or obstacles that could hinder your ability to drive safely. Use special caution on slopes and turns, slow down for all turns and stay off the highway as much as possible. 4. Never start an engine in a closed shed or garage. Exhaust gas which is transmitted from tractor contains carbon monoxide, which is colorless, odorless and deadly. 6. Keep your hitches low and always on the drawbar. Otherwise, your tractor might flip over backwards. 7. Never get off a moving tractor or leave it with idle. Shut it down before leaving the seat. A runaway tractor can be extremely dangerous if you forget to turn it off while not using it. 8. Do not refuel your tractor while the engine is running or hot. Additionally, do not add coolant to the radiator while the engine is hot; hot coolant can erupt and scald. 9. Keep all children off and away from your tractor and its implements at all times. Children are generally attracted to tractors and the work they do. However, a tractor's work is not child's play. 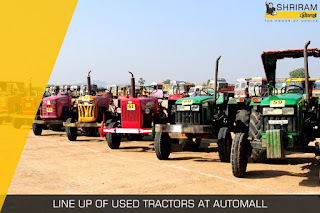 Acquire used tractors easily by connecting with Shriram Automall India Limited (SAMIL). 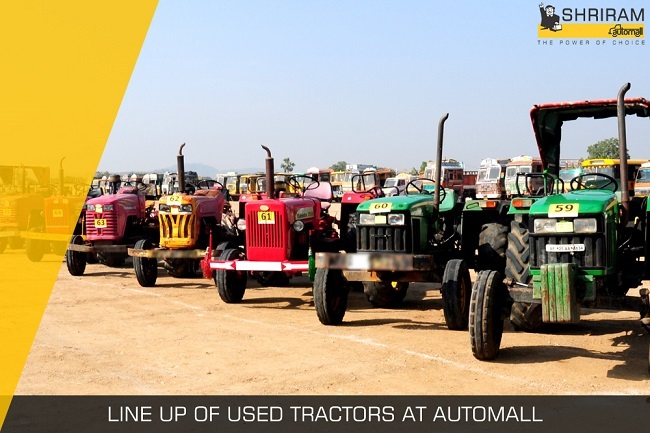 OneStop destination from where you can easily acquire or dispose used tractors & commercial vehicles. SAMIL also provides customers with various other services like parking, insurance, valuation and documentation. There are innumerable information hubs available from where you can easily learn about the car and other related information or you can just hire a mechanic. 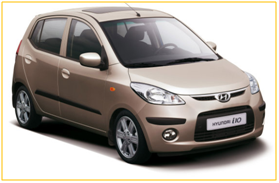 The more the detailed information about the car the more the buyer will be attracted. Make sure to take as many high-resolution pictures as possible. Modern point-and-shoot cameras have great dynamic range and amazing quality. Stay away from taking pictures with cell phone cameras, as their lenses leave a lot to be desired, and have a tendency of compressing images and decreasing quality. Always include a contact number when you are putting your vehicle for the sale online because it's insanely frustrating to see a good deal, but the seller only has email as a viable means of contact. 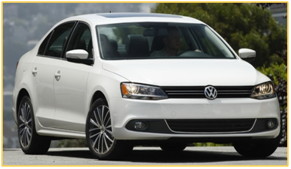 If you have a car which is desirable enough, you will eventually get a lot of buyers. A fair number of these individuals will want a significant discount on the price, for any number of reasons. It's important that you choose a price that's realistic, based on market value. If your price is negotiable, inflate it by 10 percent, with a "Best Offer" option. That way the buyer feels like they saved some money and the seller gets the most that they can for their car. Don’t worry about finding a right online marketplace from where you can easily dispose your vehicle. Connect with Shriram Automall India Limited and access to their online bidding platform (bids.samil.in), from where you can easily dispose your used cars and SUV’s. Online Car Bidding is a unique feature that is available with SAMIL and attracts customers due to the transparent approach acquired by SAMIL. You can also acquire used commercial vehicles and equipment from SAMIL’s physical bidding platform. If you are looking to purchase or dispose any kind of used vehicles in India, simply submit your requirement and get a call back from Shriram Automall to assist you further. 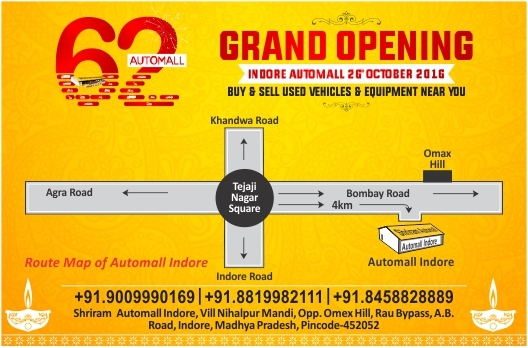 Shriram Automall Ongole will be celebrating its 2nd business anniversary on 18th Oct 2016. Have a look at the glimpse of 2 successful years. WHAT MAKE BIKES A SUCCESS ON ROADS? When you image a road, what do you think? Cars, busses, bikes, pedestrians and traffic, yes traffic and that is the part that he hates the most while we are on road. 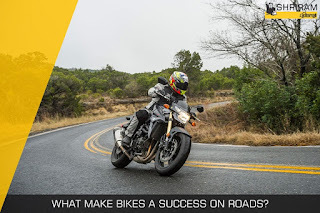 In this situation it’s the two-wheelers that come in handy to ride as we all have seen bike riders efficiently makes sharp cuts in traffic and even follows the left lane to get out of the heaviest traffic jams as well. Riding the best model of two-wheels, bikes easily get its way into everyone’s dream. Be it any age-group, you’ll find thousands of riders, who simply love dedicating their major time towards driving. Bikes are any day affordable in comparison to a car. So, a higher price prevailing within the cars segments is one of the major reasons diverting auto lovers towards bikes. A used bike is also a lucrative option due to its even lower cost. · Bikes are easy to ride and we all know how much we like to ride our bikes on empty roads, even in traffic jams and even get out as a pro. · Bikes are super fuel efficient, even a couple of liter of fuel will serve for the entire day for you. So, now if you are planning to get a used bike for yourself, we recommend you Shriram Automall India Limited (SAMIL). The company offers multiple line-ups of pre-owned bikes at an amazing price through its multiple bidding platforms – Physical Bidding, Online Bidding, One Stop Classified Kiosk and Private Treaty. SAMIL celebrates 1st Business Anniversary of its Madurai Automall. Transportation is the backbone of our nation and it’s the truck drivers who take this heavy job on the trusted shoulders and ride the nation towards its growth. On the flipside millions of truck drivers dream of their own truck. 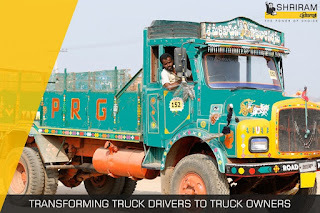 They drive day and night through those difficult roads, so that one day they can buy their own truck and earn more for their family. But that’s a long journey for them. It’s such an irony that truck drivers, who are known for long and tough drives, find it difficult to cover this distance from a truck driver to the truck owner. Making that distance short and accessible, Shriram Automall India Limited (SAMIL) brings an ultimate physical bidding platform from where any truck driver can own a pre-owned truck. Buying a used truck can be done from anywhere however what really make Shriram Automall the first choice is their ability to offer multiple range of used trucks at attractive price. Be it any type, brand or model, the Company has it all for you in the pre-owned truck segment. Here are some benefits of associating with Shriram Automall to be a truck owner. The company offers the most extensive range of used trucks to choose from at attractive price that suits everyone’s requirement. SAMIL also provides easy finance on pre-owned trucks at a nominal interest rate that suits every pocket. Just a few EMIs and the truck is all yours and as the truck is in pre-owned condition you get less EMIs. When you hear the word roadster, what strikes your mind? an open-top car with two seats or a bike making rocketing sound on empty road or a horse riding on the road. To me it’s simply a feeling of driving the car of my choice on a long highway with good music and friends. The time when I perused a job I knew my roadster dream is on a verge of being realized, however I knew that at this point of time I simply cannot afford a new car of my choice. What I did next just changed the way I use to think about pre-owned cars. From the word go I knew that I need a car that is fast, comfortable, gives good mileage and is equipped with latest technology, so I decided the brand and model that I wanted. I went to some of my nearby car dealers to check the model and get the idea about its price. A friend of mine suggested to check online and by just typing the words ‘pre-owned cars in Delhi’ I was thrown with a number of websites offering the best used cars at competitive price, but what really got my attention was this website called ‘bids.samil.in’. The variety was great and quite aptly suited my choice as well. So, I decided to participate in one of their online bidding events. The online used car bidding experience was just so thrilling. I had chosen my car and the moment bidding started on it, I simply stuck myself on a chair and played the bid game. I had to win it; so I ensured my bid to be the highest. And yes, it made me the winner of my chosen used car. It has been a year that I am the owner of that second hand car. 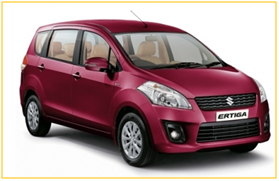 Now I take pride in owning the car of my choice and the price of my liking through Shriram Automall.